Zoom Player Home Free - They say the best things in life are free, and Zoom Player Home FREE life delivers. The most powerful media player for the Windows PC, giving ultimate control over your media viewing experience. Featuring :	Free for personal, non-commercial use. No bloat, intuitive & user-friendly design. Install Center application, capable of detecting and securely installing up-to-date decoders and missing system components to improve stability and versatility. Media Center navigation interfaces with easy to use (Up/Down/Left/Right/Select) controls. 10-Band Equalizer with Digital PreAmp and Presets. DVD Playback from Disc, Hard Drive or network connection. Powerful, category based Media Library interface. Remember/Resume from last media position. popular formats are supported : H.264, XVID, DIVX, DVD, FLV, WMV, QuickTime, MPEG 1/2/4, MP3, AAC, DTS, Dolby Digital, FLAC and many more. Zoom Player is the most Powerful, Flexible and Customizable Media Player application for the Windows PC platform. Based on our highly-touted Smart Play technology, more media formats play with less hassle, improved stability and greater performance. Behind Zoom Player's classic media player look, hides a powerful Media Center application designed with a simple 5-Key (up/down/left/right/select) fullscreen navigation interface. The 5-Key system provides simple navigation with advanced interfaces. 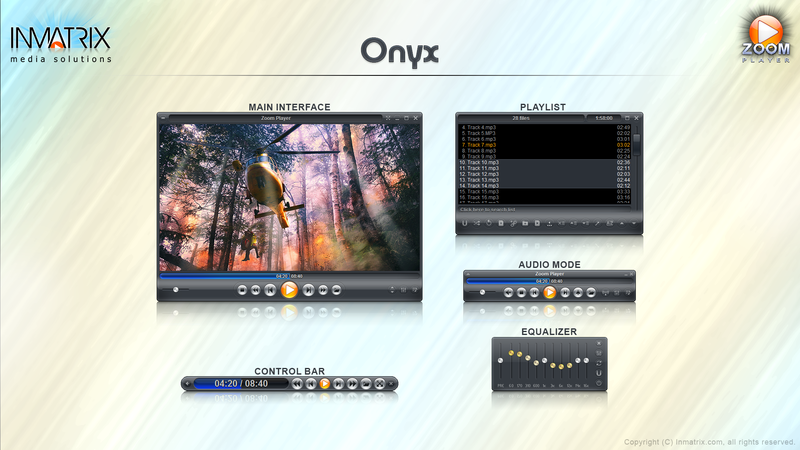 Interface such as the Media Library, File Browser, Playlist, Color Control, Audio Equalizer, Bookmarks, Play History and many more. Zoom Player's media center simplicity makes it ideal for users with no previous computer experience. With Zoom Player, you can instantly Convert any PC into a Home Entertainment Center (HTPC) with no specialized hardware requirement or operating system. Zoom Player runs with every version of Windows. MacVideo VideoConverter is an extremely easy-to-use Video Converter tool for windows users to convert between almost all popular video formats such as FLV, AVI, MOV, M4V, WMV, M2TS, Rmvb, MPEG, VOB, MP4, 3GP, MKV, etc. Aiseesoft iPad 2 to Computer Transfer is the best transferring tool for iPad 2 users to transfer music, movies, camera roll, and picture from iPad 2 to computer without losing anything. 7yuv is a YUV Viewer, Raw Bayer Viewer, Hex-Editor for analyzing raw video files. Whether you are a games programmer, video codec engineer, or just want to hack binary files, 7yuv is the perfect tool for binary and graphics data verification. This site does not contain serial number, crack, keygen Zoom Player FREE serial number : serial number is the simplest type of crack. A serial number(cdkey,product key,etc) is register the program as you may already know. a crack or keygen may contain harmful software. If you cannot find the exact version you want, just give it a try. for more information read .nfo/.txt/.diz file include in zipped file.